Our singular goal as a company is to serve, protect, and enhance the health of the public conversation. We believe we have a responsibility to deliver a place where freedom of expression is valued, where individual voices can speak truth to power, and where millions of people from across the world come together to see what’s happening. The open Internet connects us, educates us, and entertains us. But its primary strength is the manner in which it has democratised information for citizens, affording them opportunities to be part of real-time conversations around major global and domestic events. It’s true that the increasing frequency, speed, and velocity of online information being presented to users is a remarkable technological advance, but at times it can be difficult to separate the signal from the noise. We believe citizens should be empowered to develop the skills that help them critically analyse material for credibility and to ask the right questions of the information they are engaging with and sharing online. For our part, we have already taken steps to help empower citizens become more media literate. 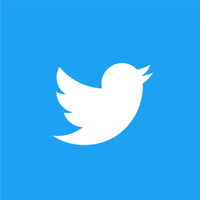 There’s our dedicated educational resource, the Educator’s Guide to Twitter, which raises awareness of media and information literacy among parents, educators, and academics. We’ve also supported the efforts of many non-profits across the world who work to promote media and information literacy. More recently, we reinforced our commitment to enhancing media literacy levels of people who use our platform when we signed up to the EU’s new Code of Conduct on Disinformation, along with various online platforms, social media networks, advertisers and the advertising industry. The Code encourages signatories to enhance media literacy levels to better help Europeans identify online disinformation and approach online content with a critical eye. The Commission will in turn encourage fact-checkers and civil society organisations to provide educational material to schools and educators and organise a European Week of Media Literacy. As part of our ongoing efforts, we’re also very proud to partner with UNESCO to promote Global Media and Information Literacy Week 2018, which begins today and runs until October 31. Twitter has a long-standing, fruitful relationship with UNESCO, and this year, we’re particularly excited by their focus on developing a network of Media and Information Literate Cities. Their vision is to nurture cities which help their citizens improve quality of life by making the most of media, information and digital tools available to them. Mr Moez Chakchouk, UNESCO’s Assistant Director-General for Communication and Information, said: "UNESCO is pleased to be partnering with Twitter to promote media and information literacy (MIL) among people in cities and communities around the world. "Media and Information Literacy is key to empowering citizens with the critical thinking essential to building sustainable and smart cities. Social media platforms like Twitter have the potential to facilitate debate and foster inclusive knowledge societies." Publishing a co-branded educational resource entitled Teaching and Learning with Twitter, an easy-to-read manual for educators of all stripes who want to unlock the benefits of Twitter as a learning tool in the classroom and at home, while receiving guidance directly from UNESCO on media and information literacy best practices. Distributing Ads for Good grants to 10 separate NGOs in UNESCO’s media and literacy network, to help raise awareness of their work. Delivering a speech at MIL Week’s feature conference at the Vytautas Magnus University in Kaunas, Lithuania, along with speakers from the Council of Europe, the European Commission, Harvard University, the London School of Economics, the Communications University of China, the Centre for Media and Information Literacy in Kenya, and the Brazilian Institute of Information in Science and Technology, amongst a truly global gathering of expert participants. Partnering with the National Association for Media Literacy Education (NAMLE) to support Media Literacy Week in the United States using the hashtag #MediaLitWk. US Media Literacy week will be held from November 5th until 9th and Twitter is proud to again partner with NAMLE to support media literacy education programs in the United States. Important elections coming up in 2019 for the European Union, Africa, and India mean that now more than ever, citizens are turning to platforms like Twitter for information and context to inform their decision. It’s for this reason we are investing more heavily in resources and tools to help surface more credible content with behaviour-based signals, and tackle problematic content like spam and automation. Our continued and committed focus to media literacy will help supplement these efforts. We cannot do this alone and it’s beyond one internet service. Collaboration is vital. That is why we are partnering with industry partners, regulators, educators, and parents to help build a new generation of empowered and media literate citizens.